Student success has been the overarching priority in all actions undertaken by the current board of trustees, Roberto Zárate, 69, said in an April 4 interview. Zárate credited all current board members, whom he described as “incredible,” for a record of success and achieving a sense of momentum. 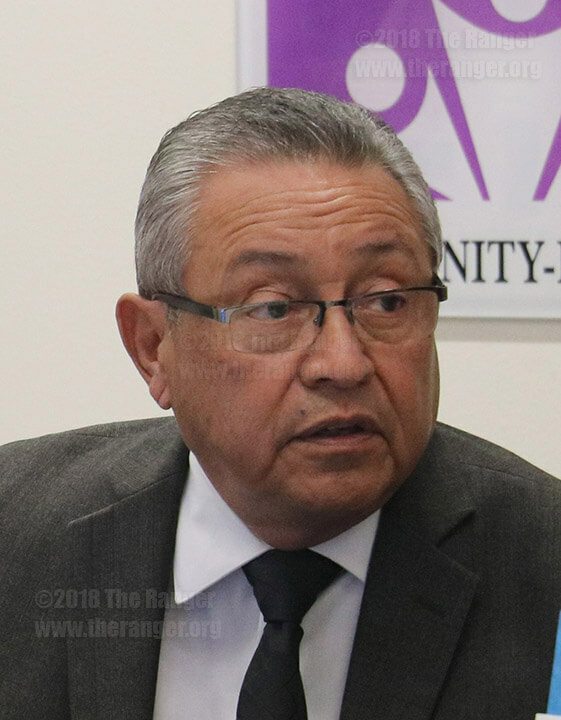 Zárate, a retired educator with more than 36 years of experience, has served on the Alamo Colleges’ board since his appointment to the District 5 seat in August 2003. Zárate said he began his teaching career as a junior high instructor in Crystal City. Later in his career, Zárate was the principal at Mary Hull Elementary School for 16 years. Zárate said he was motivated to run for another term as the District 5 trustee because of the “opportunity” it presented to facilitate success for constituents, especially students. “I see education as a springboard whether it is to advance, redirect or start a new career,” Zárate said. The Express-News article also cites the board as “taking heat” for its support of Chancellor Bruce Leslie in standardizing counseling, curriculum and new degree plans, which eliminated majors from student records. Zárate said all board decisions were data-driven and made with students’ best interests in mind. While individuals have expressed concern or disagreed with board decisions, Zárate said the decision-making processes were not problematic. Zárate said the board’s actions have been validated by results. Zárate said the Alamo Colleges are now working cohesively together in achieving cost efficiencies. “The Alamo Colleges are now working as a family with a seamless transfer of services,” Zárate said. Zárate addressed perceptions of a non-transparent selection process for the incoming chancellor. He said the chancellor selection process had to be confidential so there would be no negative repercussions for applicants in their current positions. A confidential search also helped increased the pool of applicants to 24 with six selected for interviews, Zárate said. Zárate said the board employed a citizen advisory committee comprising faculty, staff, community groups and students. Zárate said the board of trustees did not interfere with the citizens committee and accepted their recommendations. Three board members were on the advisory committee. Zárate said three “wonderful” applicants emerged with Flores ultimately being selected. Regarding the sustainability of the Alamo Colleges’ dual credit program where all fees are waived for both in- and out-of-district high school enrollees, Zárate said the colleges will “need to look real hard” at how the program is continued. A challenge is the state has mandated the dual credit program without providing Alamo Colleges the necessary resources to execute its requirements, Zárate said. Zárate said a combination of measures may be necessary to sustain the program. These measures could include achieving greater efficiencies within the existing budget, seeking relief from state-mandated requirements, and as a last-option, tuition and tax increases. Such increases are “not popular with anyone including myself,” Zárate said.